Born on the Åland Islands in Finland, Maria Ackrén serves as Head of Department of Social Sciences and Associate Professor in Political Science at Ilisimatusarfik/University of Greenland. 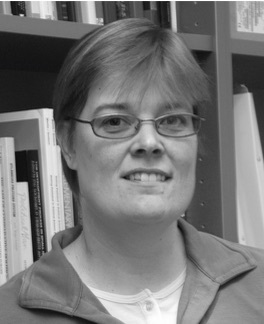 Having a long academic experience, Ms Ackrén has been appointed in 2015 as Adjunct Professor in Political Science at Åbo Akademi University, Finland, and Affiliated Researcher at the Institute of International Affairs and its Research Centres: the Centre for Small Island Studies and the Centre for Arctic Policy Studies at the University of Iceland, Iceland. Ms Ackrén holds a Bachelor of Political Science from Mid-Sweden University in Sundsvall, Sweden; a Master of Political Science from Åbo Akademi University, Finland; a Licentiate in Political Science at Åbo Akademi University, Finland, and a PhD in Political Science from Åbo Akademi University, Finland. Ms Ackrén research interests include Autonomy arrangements in the world, island studies, qualitative methodology and Arctic relations with a special focus on Greenland. 2015. ‘The Political Parties in Greenland and Their Development’, 2015, pp. 317-335 in Eva Maria Belser et.al. (eds. ): States Falling Apart? Secessionist and Autonomy Movements in Europe. Publications of the Institute of Federalism Fribourg, PIFF (10), Bern: Stämpfli Verlag AG. 2015. ‘Greenland as a Self-Governing Sub-National Territory in International Relations – Past, Current and Future Perspectives’ (together with Uffe Jakobsen, University of Copenhagen), Polar Record, Vol. 51, Issue 4, pp. 404-412. 2012. ’Autonomy Development, Irredentism and Secessionism in a Nordic Context’ (together with Bjarne Lindström, ÅSUB), Commonwealth and Comparative Politics, Vol. 50, No. 4, pp. 494-511 (Special issue). 2006. ‘The Faroe Islands’ Option for Independence’, Island Studies Journal, Vol. 1, No. 2, pp.